June 5 kicks off Pet Appreciation Week, so be sure and lavish even more love on your favorite furry friends for all the things they do (and in some cases, don’t). Besides the unconditional love we get from our pets—not to mention free face washing, bed warming, and the occasional “gift” of a dead mouse—they help us relieve stress and extend our lives. According to the Centers for Disease Control, pets can decrease your blood pressure and lower your cholesterol. Walking your dog is great exercise, as well as a fantastic way to meet other pet lovers. 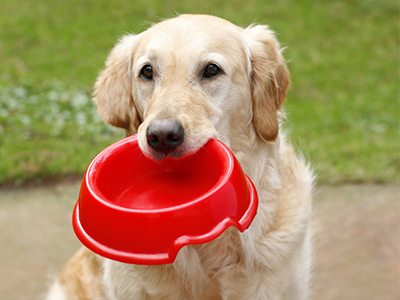 In return, learn how to take the best care of Fluffy and Fido with these great guides to nutrition, training, and communicating with your animal BFFs. After teaching her own dog Solo to be a working dog, Warren began writing about the many amazing dogs who help police and rescue workers by sniffing out drugs, explosives or dead bodies. She interviews cognitive psychologists, historians, medical examiners, and forensic anthropologists, as well as the trainers and handlers who rely on these dedicated animals every day. Horowitz, a cognitive scientist, explains how dogs perceive their daily worlds, each other, and humans and why they do what they do. 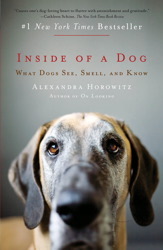 It's "a thoughtful take on the interior life of the dog... long on insight and short on jargon," according to The Washington Post. 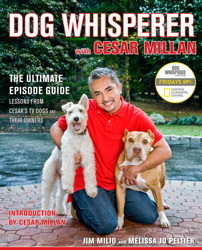 The companion guide to the popular National Geographic television show Dog Whisperer with Cesar Millan. Relive every moment from the show's first three seasons and learn tips on dealing with aggression, phobias and obsessions from Cesar. Also included: Updates on how the dogs and their owners doing today. Behaviorist and zoologist Dr. McConnell teaches dog lovers how to read the more subtle expressions of emotion from their beloved pets so we can have a more rewarding relationship with our furry best friends. This useful guide gives tips from owners of blind dogs, as well as input from vets and dog trainers on how to help your dog cope with blindness or poor vision. Teaching your dog how to negotiate the house and new environments and learning the best way to give eye drops are just a few of the topics covered. It also has a section on dogs who are deaf as well as blind. The best-selling definitive guide to a natural, chemical-free lifestyle for dogs and cats is now completely updated and revised. The authors show you provide your pet with the best care using homeopathic, herbal, and nutritional approaches to a variety of animal diseases and disorders. This fun book helps kids -- or any cat lover -- understand what cats are trying to tell you. What does it mean when kitty purrs or flicks her tail? With expert advice and more than 30 illustrated poses, you'll soon know exactly what your cat wants. The award-winning author and host of Animal Planet UK's Psycho Kitty has fully revised and updated her best-selling feline behavior bible. Think Like a Cat covers everything you need to know from basic health care and training to serious behavioral issues.